On this week's show, artists battle their inner demons – the kind that come out a night when you're alone in bed, trying to find sleep – speak truth to power, celebrate love, dig into complicated characters with troubled pasts and much more. 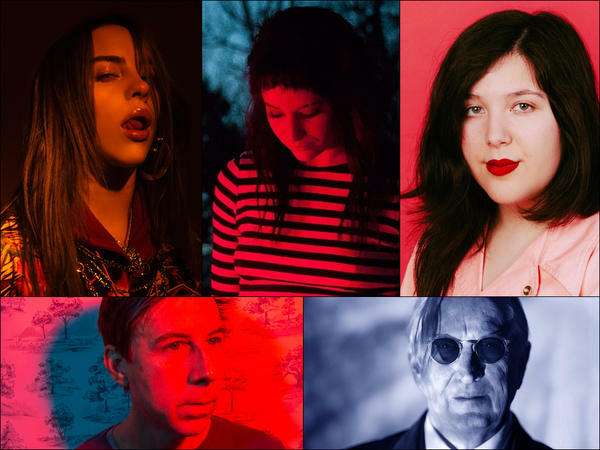 This includes a kind of demented nursery rhyme from singer Billie Eilish; the London-based duo Tender and their deep reflection on ruinous self-indulgence; and producer T Bone Burnett's new album with a prayer to overcome fear. Also on the show: The artist known as Many Rooms confronts organized religion; New York singer-songwriter Laura Stevenson has a new album inspired by the inevitable end of the universe; Lucy Dacus reimagines the French love song "La Vie En Rose" as a driving anthem to love; and producer and musician John Vanderslice returns from a five-year break from making music with a new solo album called The Cedars and a complicated tale of bent love.